Could Foam Insulation be the Right Choice for Your Home in Tuscaloosa, AL? 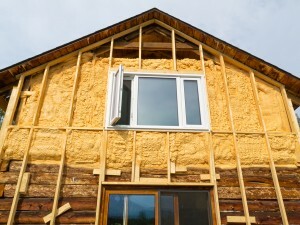 When your home needs insulation, is foam the right choice? Many homeowners in Tuscaloosa, Alabama, seem to think so and are having spray foam installed in their homes. There are many reasons why this is an option that may be highly beneficial for you to consider as well. The first reason is money savings. Homeowners are pleased to discover lower energy bills after they have foam insulation installed in their homes. The reason for the reduction in energy output is simple: spray foam closes the tiny nooks and crannies in the structure of your home that allow expensive conditioned air to escape. This means it will take less energy to keep your home at comfortable temperatures year round. As an added bonus, the life of your HVAC unit may be extended because it won’t have to work so hard to keep your home at optimal temperatures. Another benefit that many homeowners in Tuscaloosa experience when they choose to have foam insulation installed in their homes is a cleaner air environment. Sealing the tiny holes in your home not only prevents indoor air from escaping, but it also prevents outdoor, pollutant-filled air from seeping in. A reduction in the amount of pollen, dust, and mold that can enter your home can bring welcome relief for members of your household who suffer from allergies, asthma, or other respiratory ailments. Additionally, when you choose foam insulation, you are ridding yourself of the hassle, expense, and inconvenience of ever having to replace your insulation again. That’s because, unlike cellulose or fiberglass insulation, polyurethane spray will never degrade or settle, and it is guaranteed to last the lifetime of your house. When you’re ready to discover the benefits of installing foam insulation in your Tuscaloosa, AL, home, contact 31-W Insulation today. We offer outstanding insulation products as well as other home improvement services to homeowners in the City of Champions.